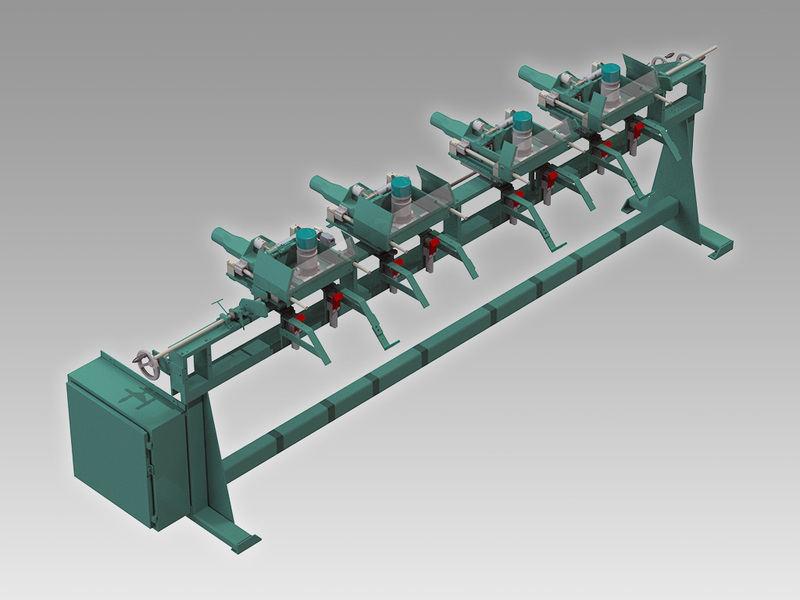 The 950-4 High-Speed Hinge Jamb Machine routes four ½” or 4” hinge pockets with &frac58;” radius. Utilizing four 1¾ HP routers it can simultaneously machine pockets for four hinges. 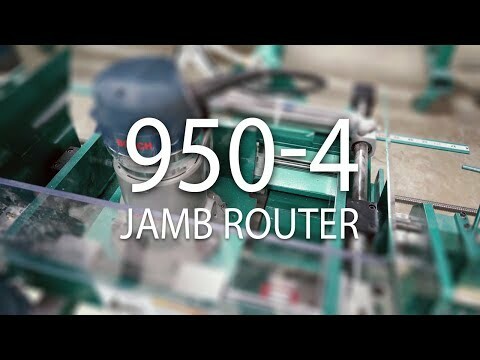 After jambs are manually placed into position all other operations are automatic, including the ejection of the finished jamb onto a structural shelf for collection. Capacity is 8 jambs per minute. Minimum Hinge Centers 22" to 35"
Minimum Hinge Centers 22" to 34"